When mortgage borrowers apply for home loans, one of the questions that is asked is whether the property the home buyer is purchasing will be owner occupant, second home, or investment home. Whether the subject home will be a principal residence owner occupant home, a second home, or an investment property, borrowers need to disclose it on their intent on how they will be occupying the property. Besides buying a home for a relative who does not qualify for a mortgage due to credit issues, some home buyers purchase a home with the intention of renting it out. There are times where buyers have the intention of purchasing a home as an owner occupant home. After living there a few months, they decide to move out and live somewhere else and rent the owner occupant home. Mortgage lenders do not expect homeowners to live in owner occupant home forever. 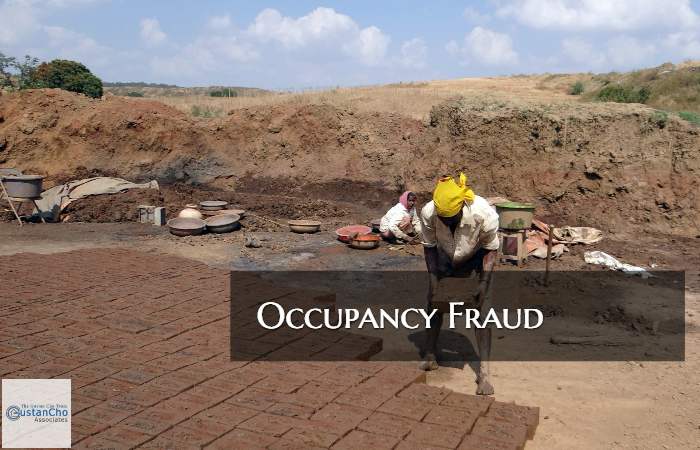 There are various reasons why mortgage loan applicants commit occupancy fraud. Another reason why borrowers commit occupancy fraud is that the lower down payment requirements and lower interest rates that are offered to owner-occupied mortgage loans. Mortgage lenders view owner occupant mortgage loans as less risky than second homes and investment home mortgage loan. That is why they require much lower down payments and have much favorable interest rates. A homeowner can save more than $200 per month due to the more favorable mortgage rates on an owner occupant home mortgage loan than a second home or investment home mortgage loan. Again, the $200 or so savings per month is not worth the consequences of getting caught for occupancy fraud and potentially getting prosecuted and convicted on a felony charge and having that on record.